For those of you interested in Google SketchUp for drawing cabinets and furniture, I have just released Part 5A "An Intermediate Google SketchUp Tutorial". 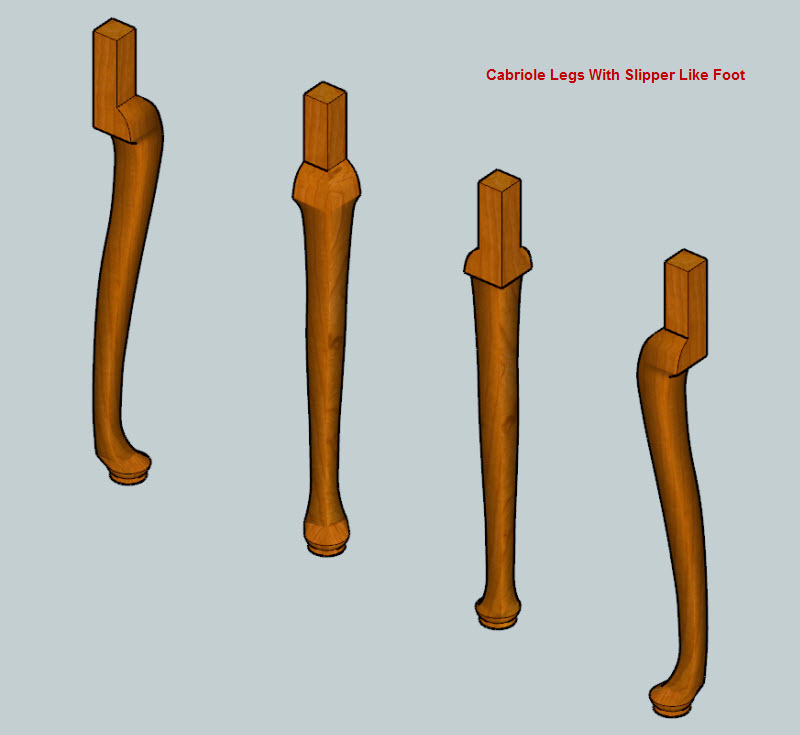 This tutorial teaches you how to draw cabriole legs like those below. I also have a beginner's tutorial series which you can find on my Google SketchUp page . These tutorials are free and include a MS Word version which can be downloaded. That's very interesting. Thank you.